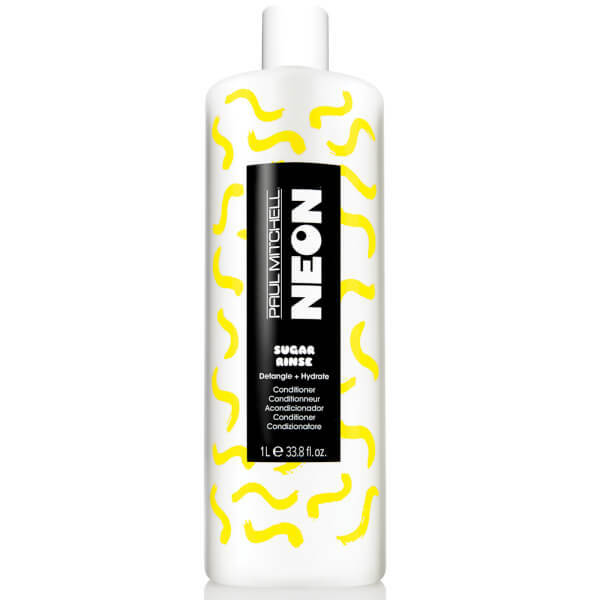 Satisfy hair’s sweet tooth with the Paul Mitchell Neon Sugar Rinse Conditioner; a nourishing formula that imparts a subtle yet sweet scent. Suitable for all hair types, the conditioner is ultra-lightweight to maintain hair’s natural volume and bounce. The nourishing formula is infused with natural Sugar, which helps to soften locks and deliver enviable shine, whilst smoothing hair to eliminate unwanted frizz. After use, the formula leaves hair detangled and manageable, ready for styling. Work it in, rinse it out, and you're ready to style. Aqua (Water, Eau), Polyquaternium-37, Propylene Glycol Dicaprylate/Dicaprate, Sucrose, Stearyl Dihydroxypropyldimonium Oligosaccharides, Stearalkonium Chloride, PEG-8 Distearate, Glyceryl Stearate, PEG-100 Stearate, PPG-1 Trideceth-6, Alcohol, Dimethicone, Magnesium Nitrate, Aminomethyl Propanol, Methylchloroisothiazolinone, Methylisothiazolinone, Parfum (Fragrance), Limonene.